The newest addition the Laycorp family is Tracktown Productions, specializing in sports program production, and has already shown it can handle events of any size. 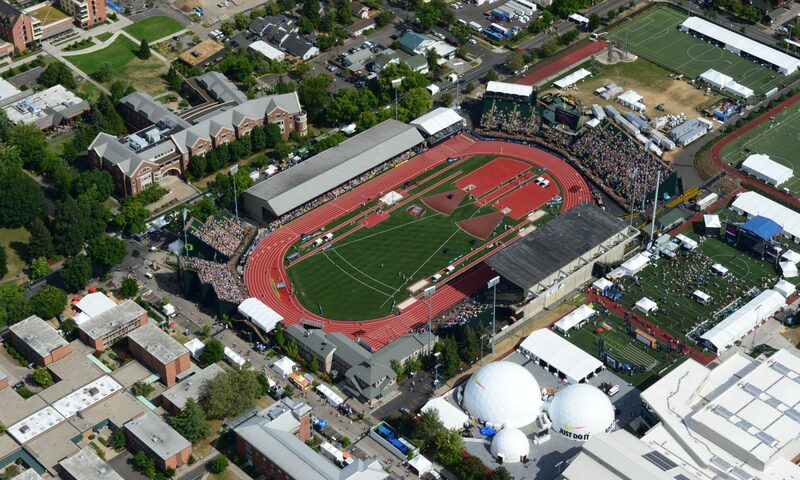 Since it’s beginning in 2010, Tracktown Production has been successful because of it’s ability to broadcast complicated sports events, like track and field. TTP has covered some of the biggest track & field events in the US, including the NCAA Championships, USATF Championships, and the 2012 Olympic Trials. In 2014, Tracktown Productions served as the Host Broadcaster for the 2014 IAAF World Junior Championships, and delivered TV coverage to the world. The coverage plan combined 4 production teams and 28 cameras to create over 50 hours of television coverage of both track and field events. Our exclusive event coverage was distributed around the world to Rights Holding Broadcasters like Universal Sports in the USA, and the BBC in Great Britain. Here is a short film by Scott Phillips that shows what we do.